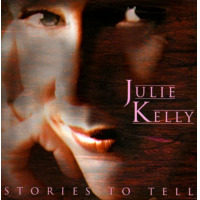 Vocalist/lyricist Julie Kelly, one of Los Angeles’ finest interpreters of jazz standards and Brazilian music, will be bringing her considerable talents to D'Anbino Vineyards in Paso Robles, accompanied by the Marshall Otwell Quartet on Sunday, November 11th, for a celebration of the music of Antonio Carlos Jobim and Jon Hendricks. Jazz critic Leonard Feather once wrote, “Her interpretations of the Great American Songbook are full of joy and spontaneity. Listening to her, you are reminded that jazz singing is still alive and well!” Her compelling lyrics, including those written to tunes by Larry Goldings, Chico Pinheiro and Luciana Souza, showcase her poetic range. She has played and recorded with such luminaries as Nat Adderley, Alan Broadbent, Ray Brown, Anthony Wilson and superstar Chris Botti. 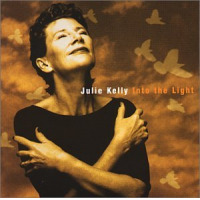 Ms. Kelly, who was recently voted in the Top 10 (alongside Cyrille Aimee and Tierney Sutton) for “Female Vocalist” in Downbeat Magazine’s Reader’s Poll, received critical acclaim and wide national jazz radio airplay for her latest CD, Happy to Be. Since 1984, when she released We're On Our Way with her quintessential version of “All My Tomorrows,” Kelly has been known as one of the finest interpreters of ballads. Her hip vocals shine through on an out-of-the-box repertoire that ranges from bebop to Brazilian.